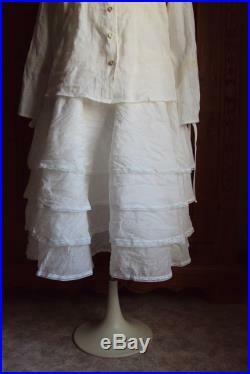 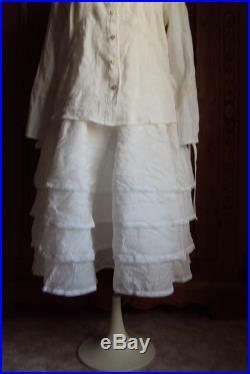 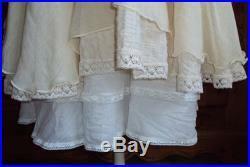 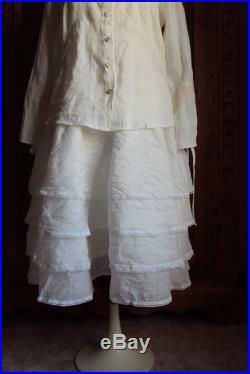 I offer this pretty skirt made in a cotton ivory organdyorgandy is a stiff material while being soft, it keeps its rigidity through timei assembled this underskirt with a 100% cotton yarnall trims are also cotton. 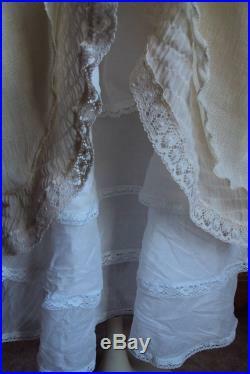 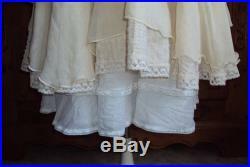 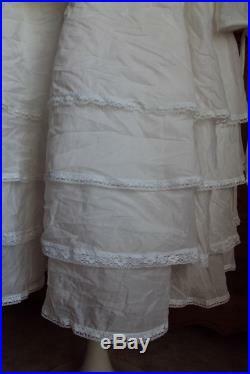 Lots of volume and materials: nearly 7 meters of fabric and over 6 meters of cotton lace. 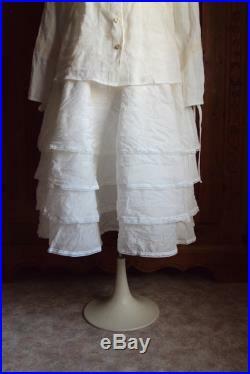 In keeping essential petticoat dresswear it under skirt, dress, or even alone4 ruffleselastic waist, measurement taken flat without pulling 40 cmall materials used to make this skirt are very good care and finishes to tailoring toocomposition: 100% cotton organdycare: machine 30.